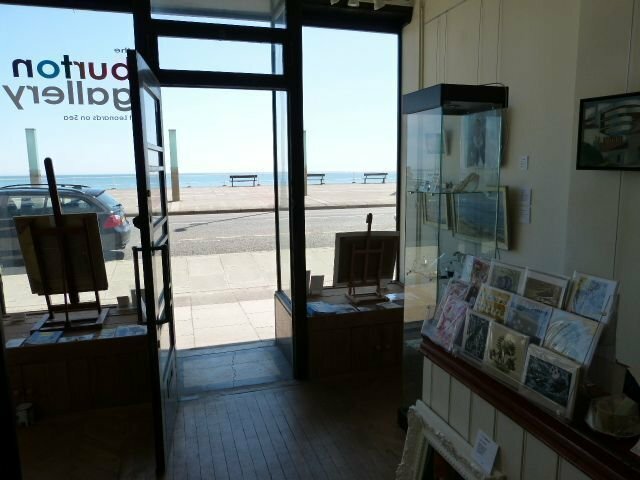 The Burton Gallery is situated in the large Art Deco Building 'Marine Court' right on the seafront at St. Leonards-on-Sea, East Sussex. Based on the Queen Mary liner, this large white building is an impressive presence on the seafront, sitting amidst the Georgian and Victorian buildings of the historic Burton's St. Leonards area. With its many galleries, artist studios, cafes, restaurants and quirky independent shops, St. Leonards is becoming an increasingly popular destination point. We sell a mixture of contemporary art and mid century fine and applied art, together with hand crafted jewellery, glass, pottery and original book illustrations. There is un-metered parking outside and in the surrounding area. Nearby Warrior Square station has regular trains to London, Brighton, Kent and the east coast. PLEASE NOTE: WE ARE CLOSED FOR THE WINTER BREAK. RE-OPENING ON SATURDAY 26TH JANUARY, 11 AM.